Think MIU! If you or a loved one have an injury or minor illness this winter, remember your local Minor Injuries Unit (MIU). Highly qualified staff are at Kingsbridge, Tavistock and Cumberland MIUs 365 days a year. For more information, visit www.plymouthhospitals.nhs.uk/miu. NHS 111. NHS 111 is now available online (111.nhs.uk) as well as by phone (dial 111) 24 hours a day, 7 days a week. 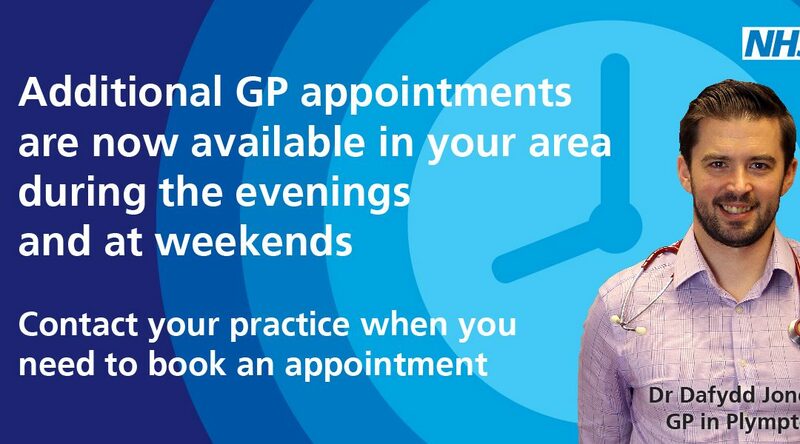 The online service uses the same clinical algorithms as the phone service, taking you through questions about your symptoms to receive tailored advice on what to do next and where to go, and if needed, you will be connected to a nurse, emergency dentist, or GP.